The first expansion for Dark Souls III has been revealed by Bandai Namco. Ashes of Ariandel is coming October 25. First glimpse inside with the trailer and screenshots. The second expansion is expected to launch in early 2017. ENTER THE ROTTED WORLD OF DARK SOULS III™: ASHES OF ARIANDEL™ OCTOBER 25, 2016 FROM BANDAI NAMCO ENTERTAINMENT AMERICA INC.
SANTA CLARA, Calif., (August 24, 2016) – Leading interactive entertainment developer and publisher, BANDAI NAMCO Entertainment America Inc., today announced DARK SOULS III™: Ashes of Ariandel™, the first of two planned downloadable expansions to the critically acclaimed DARK SOULS III for the PlayStation®4 computer entertainment system, Xbox One, and PC via STEAM. Return to the world of DARK SOULS III and uncover a terrible secret that lies within the frozen land of Ariandel. Players will find themselves steeped in a brand new environment filled with terrifying new enemies, challenges, and exciting lore to expand the overarching DARK SOULS III storyline. 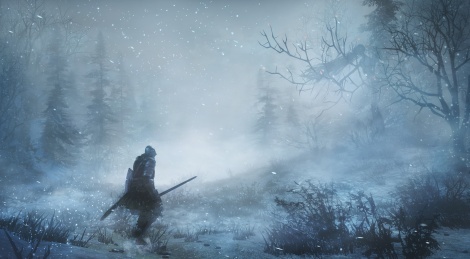 Players are tasked to enter the land of Ariandel and defeat the evil within to uncover the mystery of what has caused the land to become defiled. In addition to adding a new environment to DARK SOULS III, the DARK SOULS III: Ashes of Ariandel expansion will also include new weapons, armor sets, and magic for players to discover and experiment with, as well as new features for the game’s wildly popular competitive multiplayer mode. DARK SOULS III: Ashes of Ariandel is rated “M” for Mature and will be available for download on the PlayStation 4 system, Xbox One, and PC via STEAM October 25, 2016 for a MSRP of $14.99. 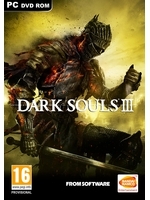 A season pass for DARK SOULS III which includes DARK SOULS III: Ashes of Ariandel and a second expansion, expected to be released in early 2017, is available for purchase for $24.99 for all versions of the game. Special Thanks to gamersyde. You are awesome. Good Luck. Looks so much like the painted world. Why did they show the old bosses when they werent even showing off some new weapon /armor or something against them?